Often debates about international development (especially among practitioners) swiftly turn towards the shortcomings of the development system, the huge challenges ahead, and the question of whether it all matters. Among this talk, it is often forgotten that the ultimate purpose of development is to improve the lives of people. The death toll from Tanzania’s ferry disaster could significantly rise after it emerged there were more than 1,000 passengers aboard the vessel when it capsized last week, a senior Zanzibar official said on Monday. Initial reports suggested the MV Spice Islander was carrying 800 people, well above the ferry’s 600 passenger capacity, when it sank in the east African nation’s worst maritime disaster for 15 years. “We are expecting some more bodies between now, tomorrow or the day after. 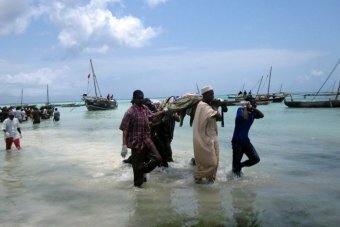 We managed to recover 197 bodies, but because the ship took more than 1,000 people, we expect more bodies,” Zanzibar’s second vice-president, Seif Ali Iddi, told Reuters. More than 600 passengers were rescued from the ferry and the vice president of the semi-autonomous archipelago said he does not expect any more survivors to be found. At least 75 bodies have been recovered after petrol that had spilled into an open sewer caught fire and sent a wave of flame through a densely populated slum in the Kenyan capital, police said on Monday. Kenyan media said more than 100 people were burnt to death and a similar number were taken to hospital. Police said it was proving difficult to establish the exact number of dead among the charred remains. Residents said petrol spilled from a fuel depot owned by the Kenya Pipeline Company (KPC) and ran into a sewage dyke that runs under the slum, known as Sinai. The petrol ignited, causing an inferno. Two incidents which – at least in Spain – have got almost no media attention despite the terrible loss of lives (at least 320 people), proving again how cheap African lives have become in the present world, and which could have been easily prevented if safety measures and quality controls had been in place. Something that requires economic and political development, and more accountability to those responsible for this.